This article will be about samadhi, the science of breath control, the near death experience, how to transcend the restlessness of life and respiration, and how to rejuvenate the body cells using sexual energy, transmutation and electrical energy. An amazing miracle of bliss and consciousness lies between every breath. One can become fathomless joy when free of breath. Breath is the cord that ties the soul to the body. As time marches on, the stress of respiration (breath and metabolism) thrashes away at the cells of the body, via damaging free radicals (molecules and/or atoms missing an electron) until not much is left of the original, once healthy, beautiful and vital form so sadly taken for granted throughout youth. So they say that youth is wasted on the young! The implications of mastering the breath and stopping one’s metabolism not only could mean the elimination of the aging process, but also the start of a massive spiritual renaissance. One’s very experience of life itself as a sequential series of events is mainly caused by the thermodynamic arrow of time within the metabolic engines of brain cells. Because the thermodynamic process is asymmetric, one’s physical experience of life will always be a constant, irreversible moment by moment drift from the past and into the future but never back towards the past. All experiences through the five physical senses are bound to the four dimensions of time, space and causation which is subject to all the rules and restrictions of nature which forces everyone through the torments of birth, hard work, suffering, aging and death. But what would happen if one could suspend metabolism? Breath is what ties the soul and body together, so that awareness cannot escape from the prison of the flesh and five senses. When breath is somehow suspended through yoga, metabolism is slowed and therefore the aging process as well, because the aging process is an unfortunate consequence of the essential process of the absorption of oxygen and the consumption of carbohydrates by every cell of the body. Oxygen is one of the most chemically active elements there are in that it will combine with almost anything that it comes in contact with. In respiration, that means it will combine with the carbon and hydrogen in carbohydrates (sugars) causing a release of energy (electron donation in the mitochondria of all cells) through the Krebs cycle resulting in the final products of carbon dioxide (oxidized carbon) and water (“rusted” or oxidized hydrogen). Hydrogen, another chemically unstable element, is the lightest “metal” on the table of elements, by the way. Even though the presence of oxygen is required for life, its presence in the body is also the main cause of the free-radical induced aging process and an essential aspect of nearly all degenerative diseases. This “Dr. Jekel, Mr. Hyde” aspect of oxygen is truly amazing. On one hand it is essential for cells to create energy and to carry out all their functions, but on the other hand, when not properly utilized, free oxygen can go on a cell-destroying rampage, ripping off parts of DNA, while damaging fatty tissues, turning oils rancid, cross-linking collagen and initiating other degenerative processes toward diabetes, high blood pressure, impotence, stroke, heart attacks, cancer etc. That is why it is so essential, especially in areas where there is so much pollution, solar radiation, vehicle emissions, etc. to maintain a constant supply of antioxidants to help protect every cell of the body. There are constant rumors about Himalayan yogis living 300 years or even longer. Various stories of great feats of aging and other miracles have floated around India for centuries. There must be some truth to these amazing wonders, or how else can these stories be so persistent? I am sure it is easy to find many exaggerations and tall tales to heighten the mystique of yoga to draw in more tourists! However, the principles of yoga are ancient and real, while scientific research has long ago proven the validity of a yogi’s ability to slow down the heartbeat, respiration, and in many cases completely stop it! 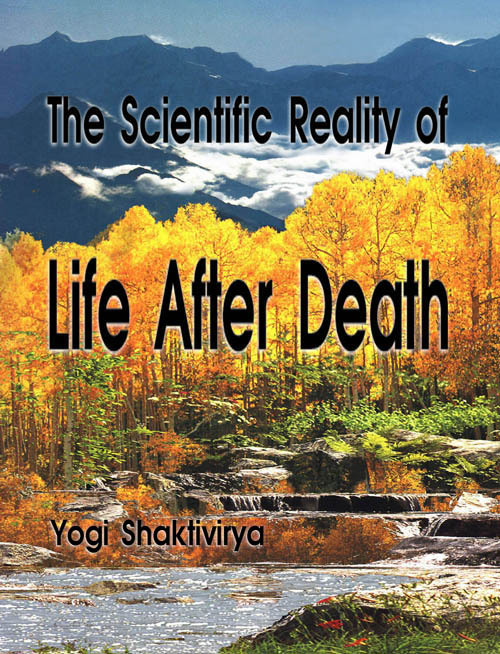 Naturally, if one can slow down breath, heartbeat and even stop metabolism, the presence of highly unstable, combustible and destructive oxygen is no longer needed by the still body in suspended animation. It will therefore no longer age as rapidly, if not, stop aging altogether resulting with continuous practice, the ability to live indefinitely! However, my main objective with breath suspension has nothing to do with trying to achieve the pleasant side effect of physical immortality, it is rather, to find and enjoy the supreme freedom and pleasure of the release of spirit from the prison house of the body, and therefore all the painful limitations of time and space while finding spiritual immortality, and if most eastern religions are correct, the permanent freedom from the rounds of birth, suffering and death. Dolphins, which are air-breathing mammals, need to hold and retain their breath for huge stretches of time in order to remain under water along with the fish for the long periods essential to all their underwater survival activities. Dolphins have developed an amazing ability during hibernation or sleep to shut off all systems except for the slightest amount of respiration inside the heart and brain just enough to maintain the most minimal level of life support. This is a natural, built-in biological mechanism to conserve energy during periods of famine, inactivity and/or fasting. Another interesting fact about dolphins is their amazing natural healing energy, compassion and intelligence that I would say is far greater than some humans I have known! However, we are going off the subject here. Who’s to say there is not a similar ability to conserve energy somewhere in the heart of human beings as well? The metaphysical implications are even more staggering. What about near-death experiences? Millions of people who’s heart has stopped through accident or other circumstances have reported remarkable experiences of awareness or consciousness independent or separate from the physical body while being established in another, much lighter and subtler body of bliss, light and energy. Many were actually able to see events miles away in the physical world which were verified later on and could not possibly have been “seen” from the viewpoint of one’s “dead” body. Most astonishing of all are the encounters with dead relatives, friends, angels, religious figures, tunnels with an indescribable light at the end of them, awesome celestial landscapes, and crystal architecture. The main accompaniment to the near-death experience has always been (through some kind of accident) the complete suspension of breath for at least several minutes and only through resuscitation would the person’s soul (awareness) be forced to come back to the body. In nearly all cases is the overwhelming desire to stay “dead” because being spiritually free from the physical body is so pleasant, meaningful and beautiful that physical life is actually quite painful and extremely limiting by comparison. And, by the way, those who think all these experiences are simply artifacts of a dying brain had better study a much larger number of near-death experiences and then each one much more closely! There are hundreds of websites where one can learn more about near-death experiences. Related information and movies can be found here: Transcend Respiration. Once we have nanomachines, things will go fast, and mankind, or more exactly conscious intelligence, will be able to transcend the planet.